Yesterday I took a tumble and all my bodyweight landed on my knee - I thought it was broken. By the time I fell asleep I was convinced I needed to get an x-ray, as nothing I did would alleviate the pain. Well, to my surprise, my knee was fine this morning and I didn't need to visit the doctor's office. As a reward for my suffering I think I'll take a trip to my favorite bagel place, Absolute Bagels. 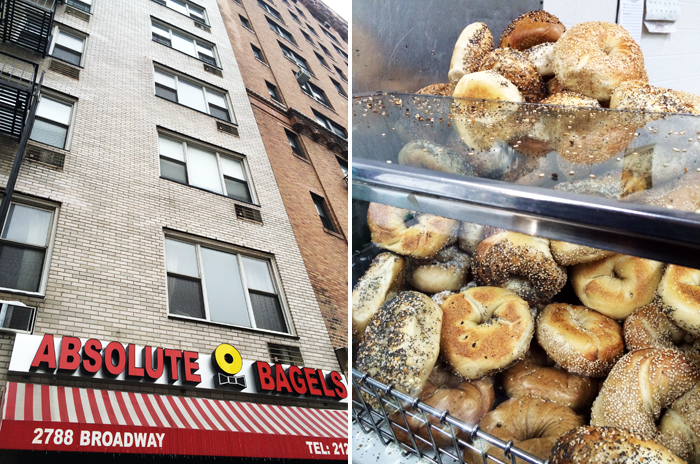 Ironically, Absolute Bagels is located a few blocks away from my alma mater, Barnard College. 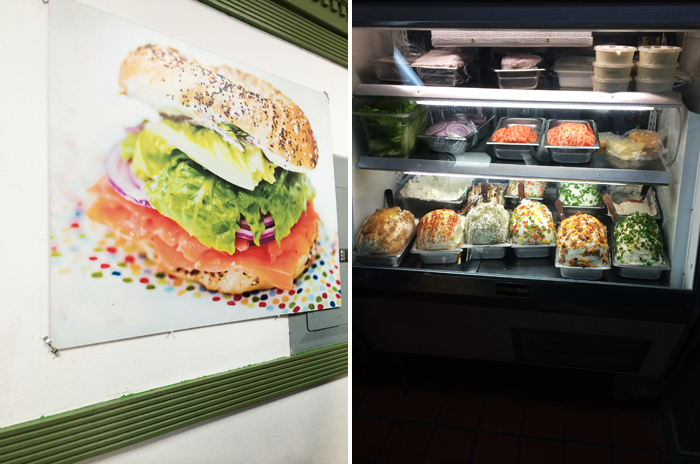 I had never heard of Absolute Bagels until a colleague of mine told me about the hole in the wall last year. Now, I try and go there at least once a week. I always thought the best bagel place was located in my hometown, but Absolute rivals even my childhood favorite. Absolute's bagels are incredibly doughy and soft. No matter what flavor you get they are always delicious. Beware, there's often a line if you go on weekend mornings. However, the bagels are definitely worth the wait. jeeze, that's a relief your knee just miraculously fixed itself! and i wish chicago had bagel shops like this- i'd be all over that. 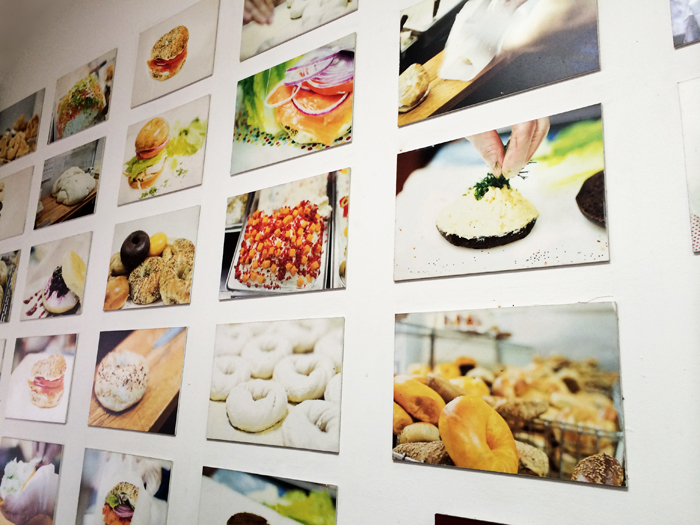 i love their fancy bagel photos on the wall, haha!